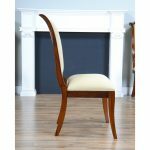 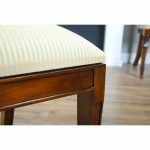 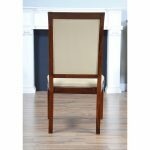 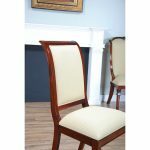 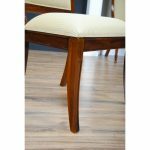 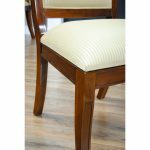 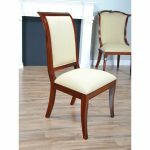 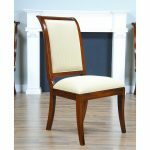 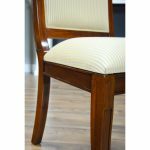 The Regency Upholstered Dining Chair from Niagara Furniture is the largest upholstered back side chair that we produce and it is also our most popular upholstered back chair. 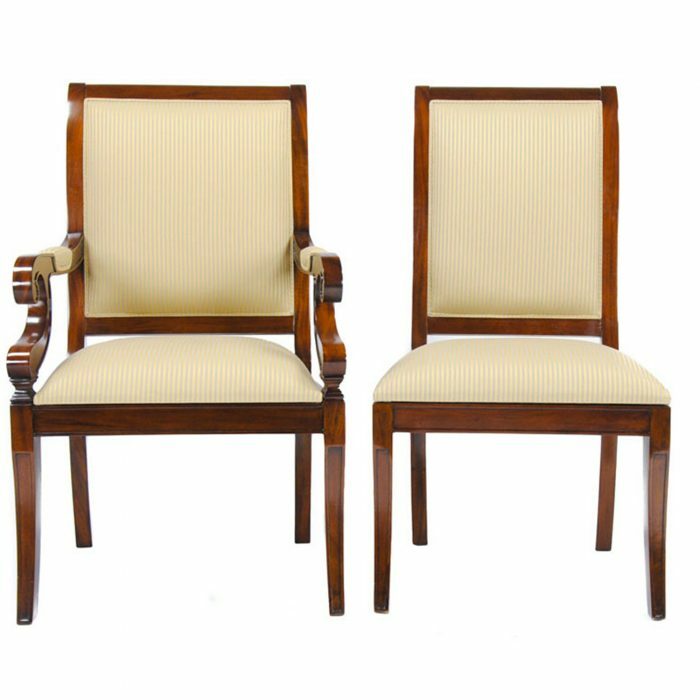 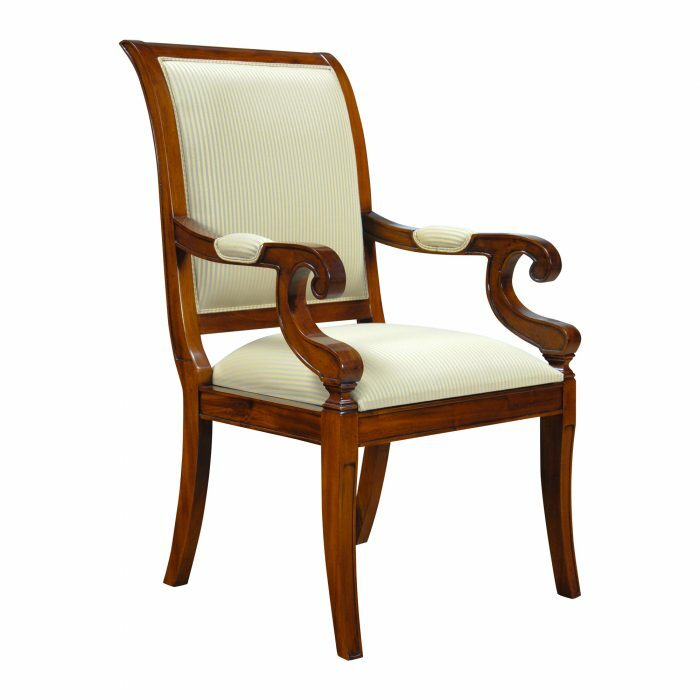 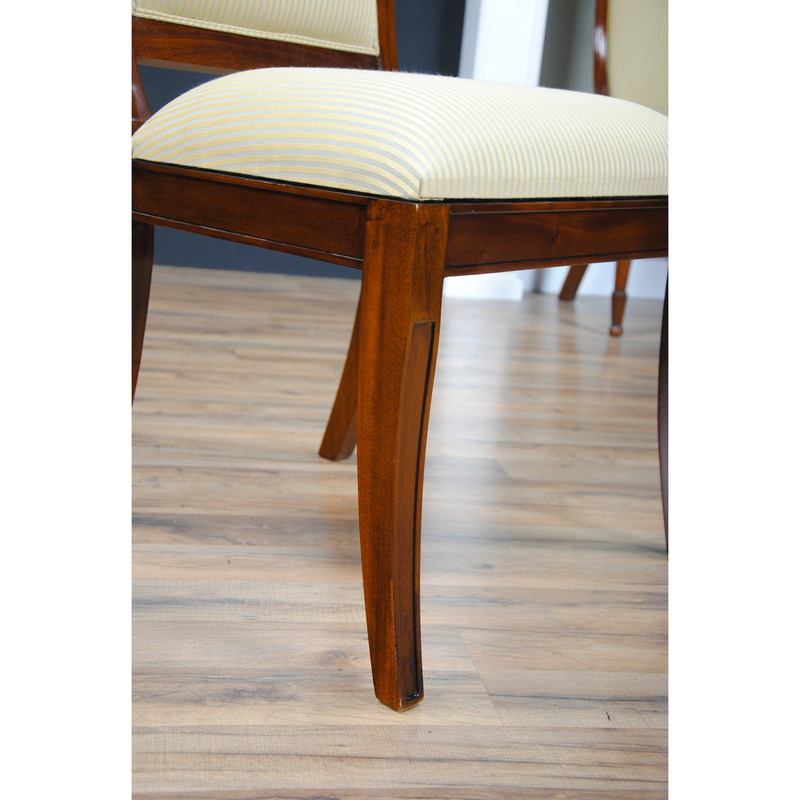 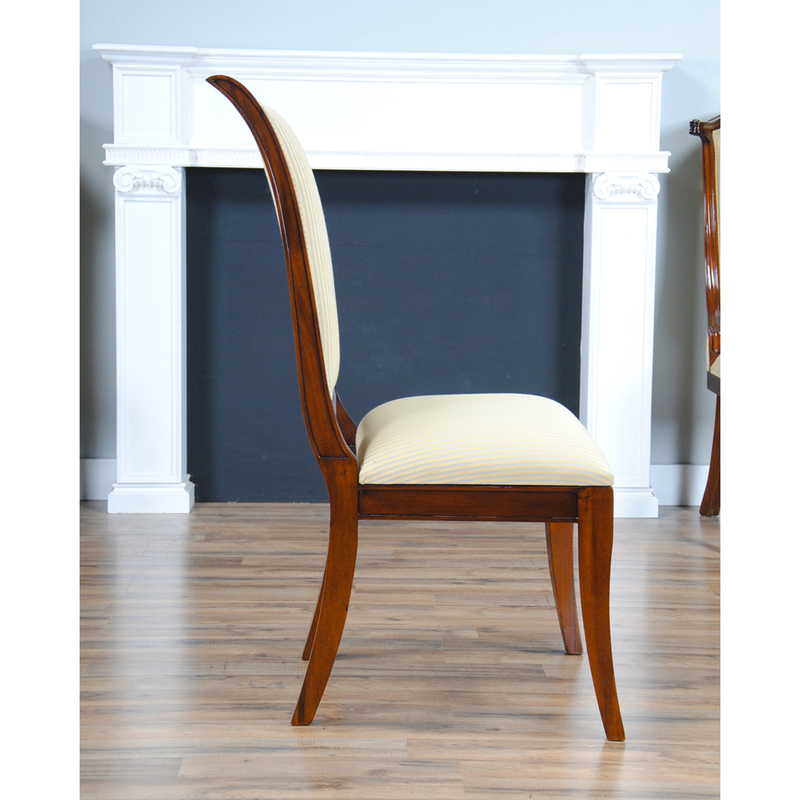 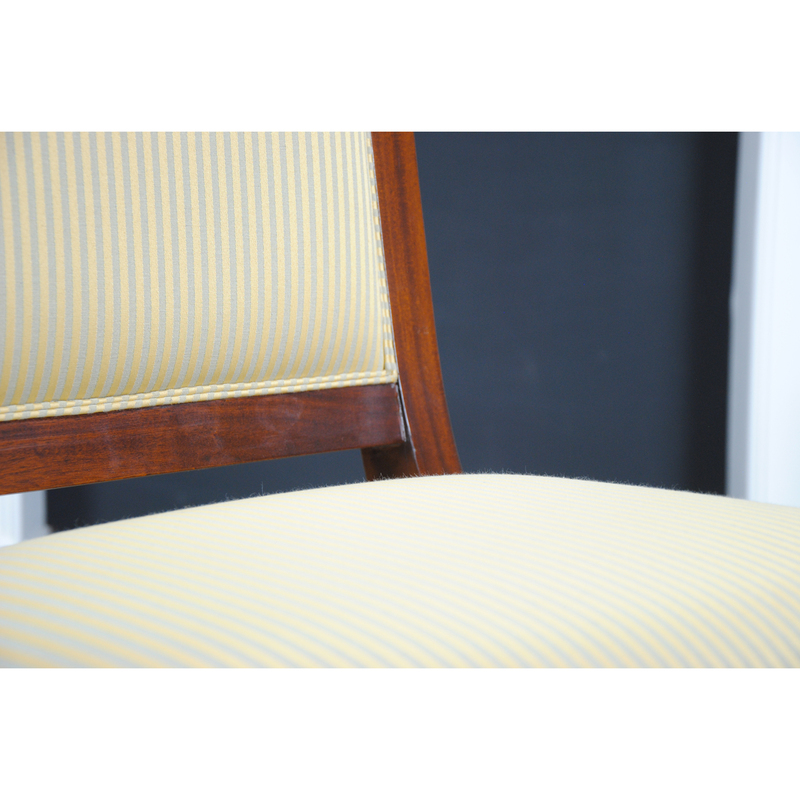 This is a great quality, solid mahogany, hand made chair whose styling can be traced back to the Regency period in England. 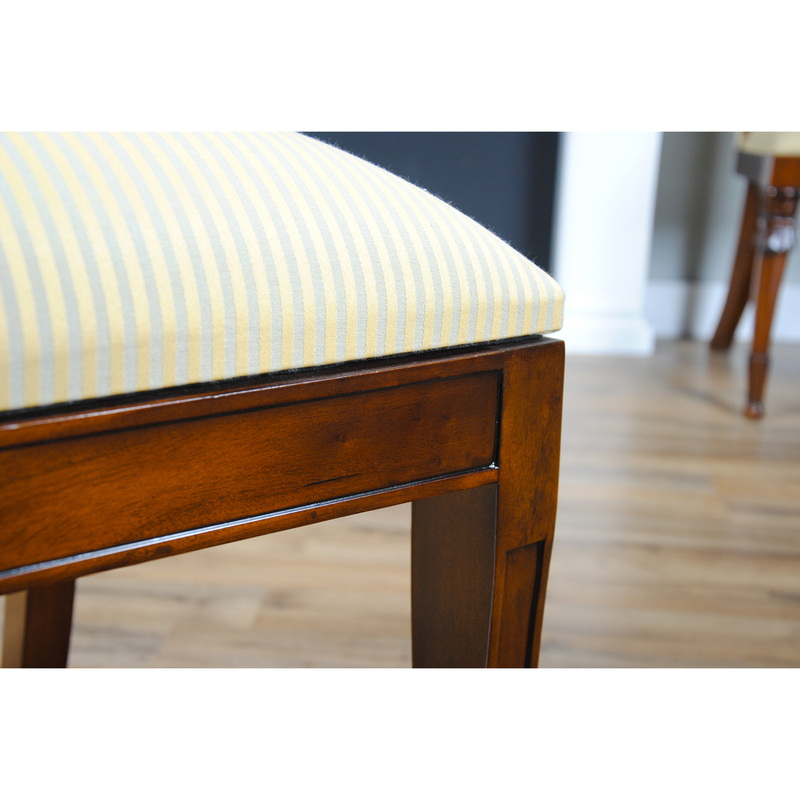 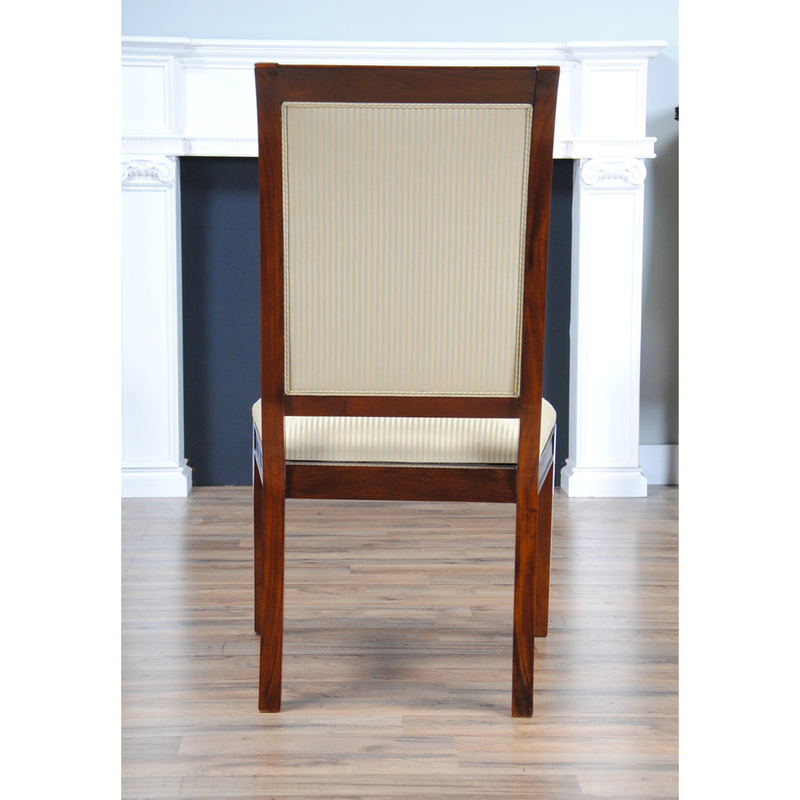 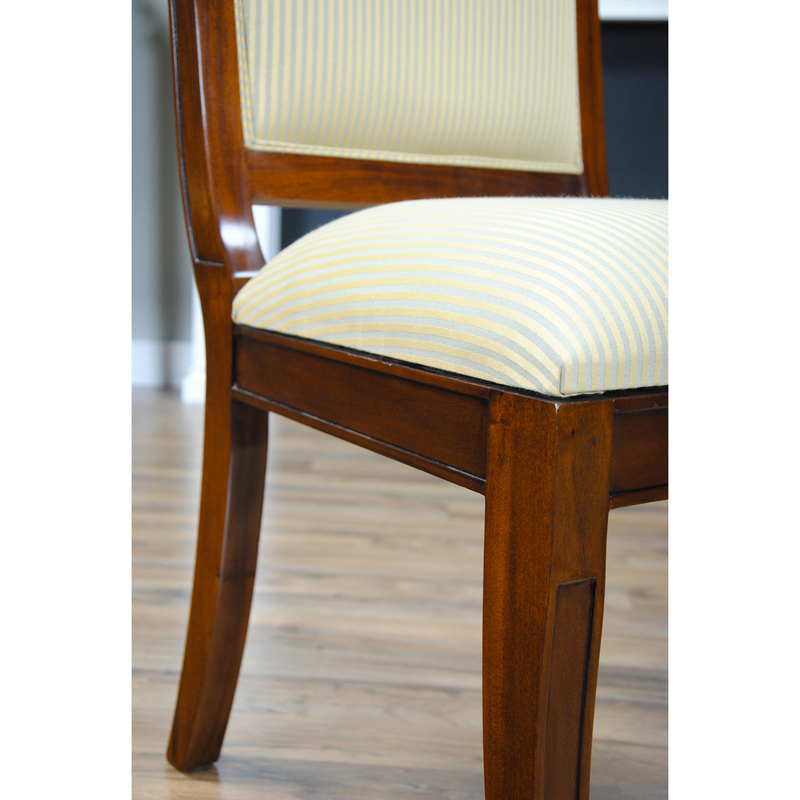 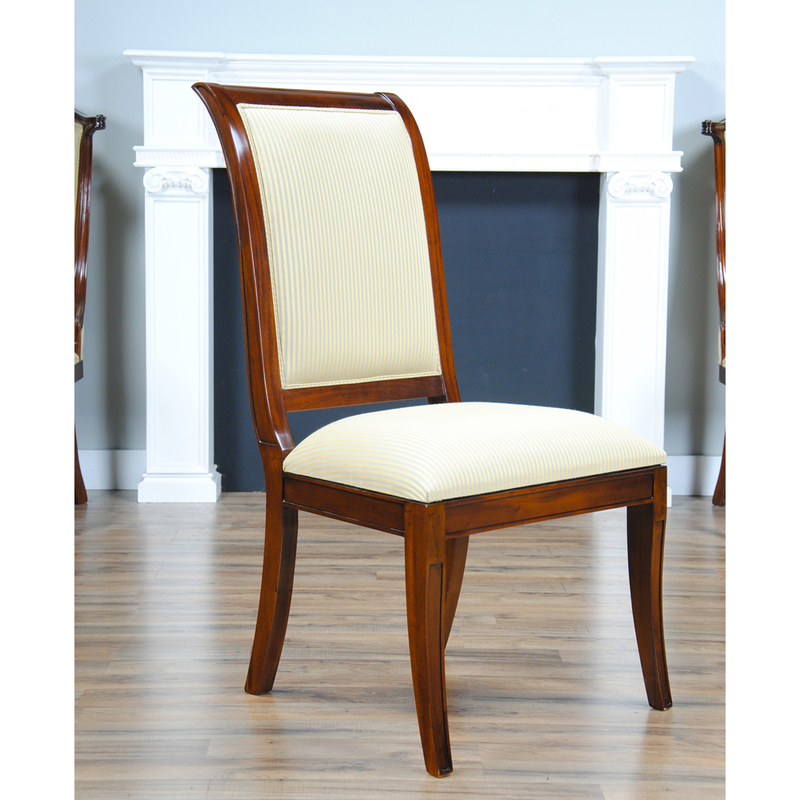 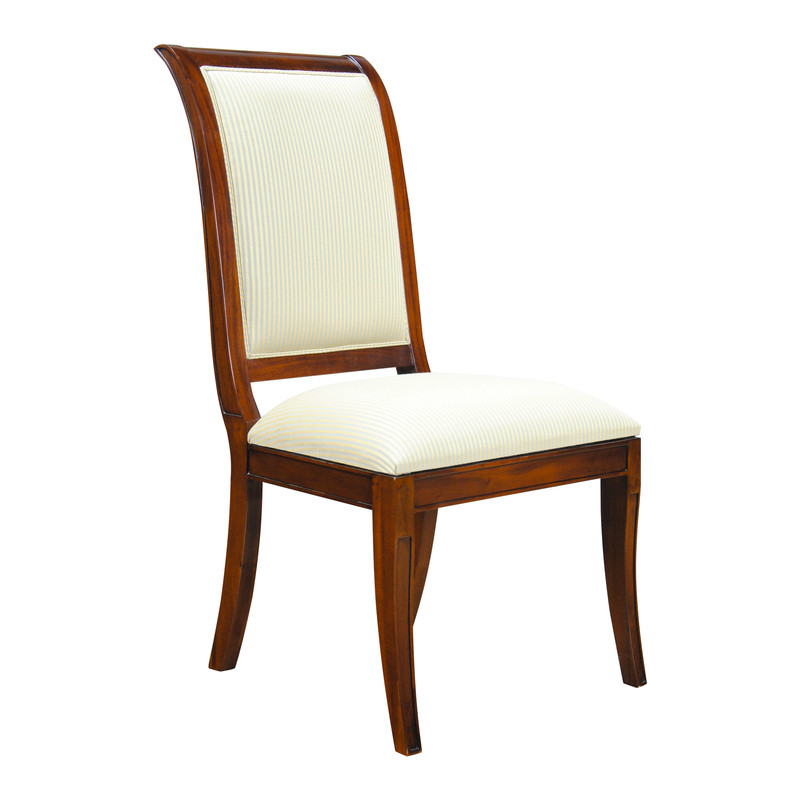 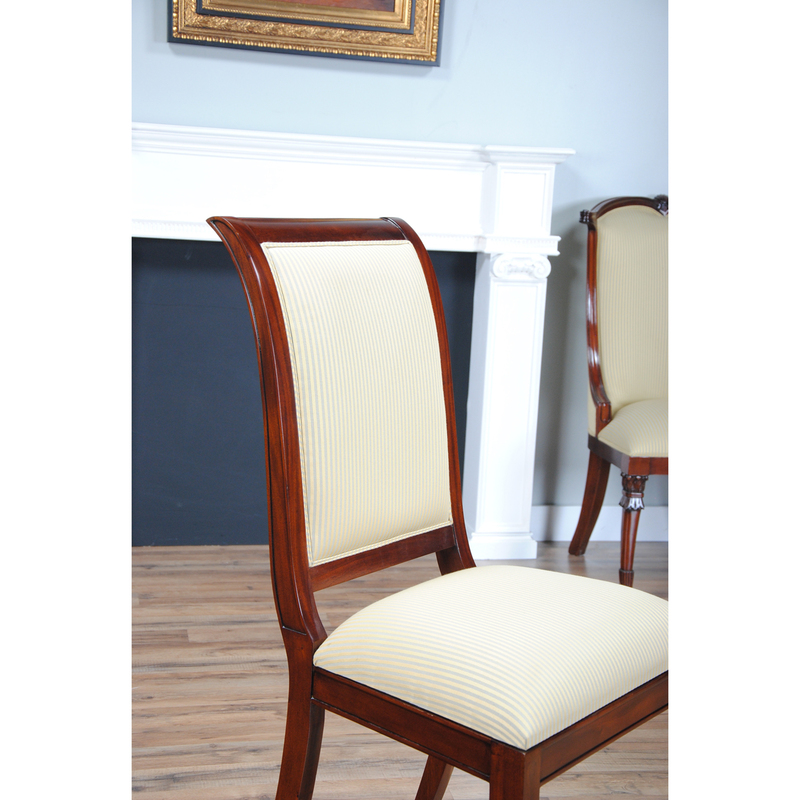 The Regency Upholstered Dining Chair has flowing lines, raised details, and splayed front legs which all combine to give this item a lot of visual appeal. 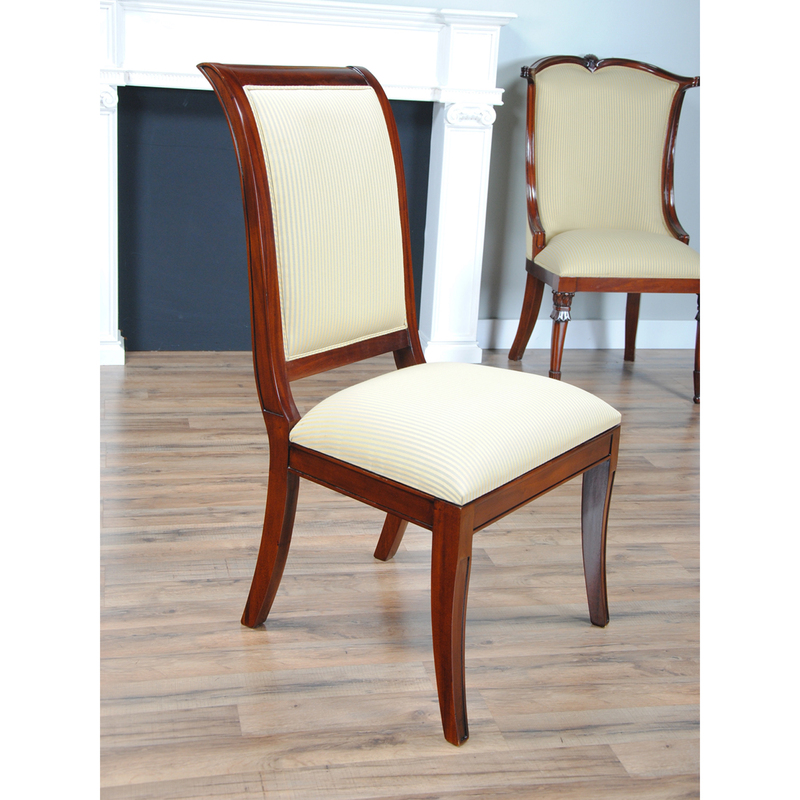 A super designer look all at a very reasonable price. 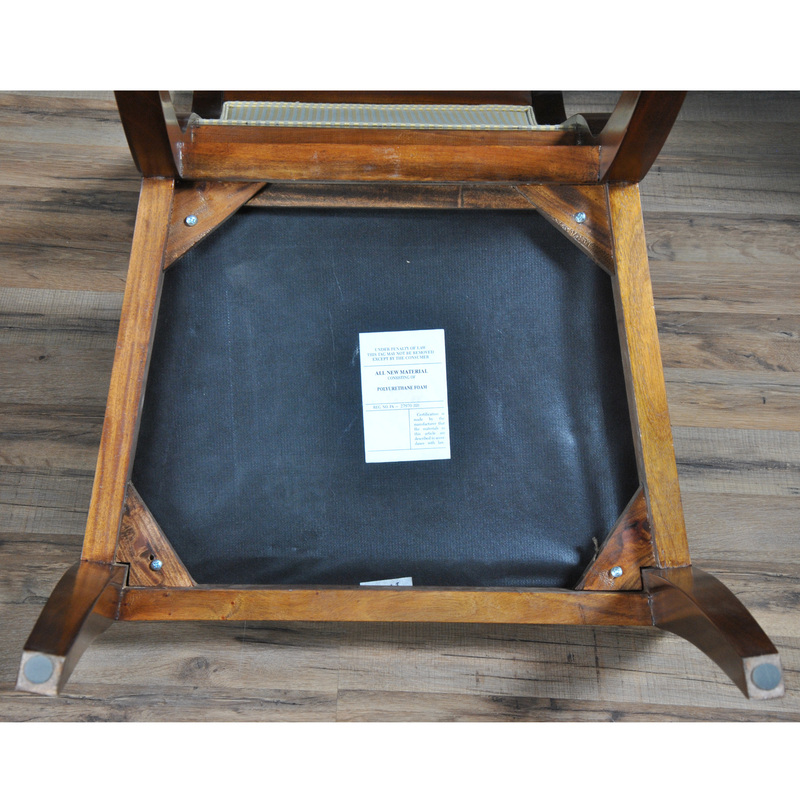 Extra sturdy as well due to the use of glue blocks in the seat frame. Ships out with our most popular fabric so you can begin to use it the day it arrives!